It was the last wigwam, the tiger’s lair where Tammany Hall reached it’s zenith before fading into historical footnote. Funded by a prohibition-era bankroll, the red brick, Neo Georgian structure located at 100 East 17th Street on the North East Corner of Union Square, represents the last true home of New York’s greatest political machine. Constructed at cost of $350,000, the building was dedicated on July 4, 1929, by Presidential Candidate Alfred E. Smith, a notorious “wet” who vowed to end prohibition if elected, and his archrival, Franklin Delano Roosevelt, an upstate politician who would do more to destroy Tammany Hall than anyone else. 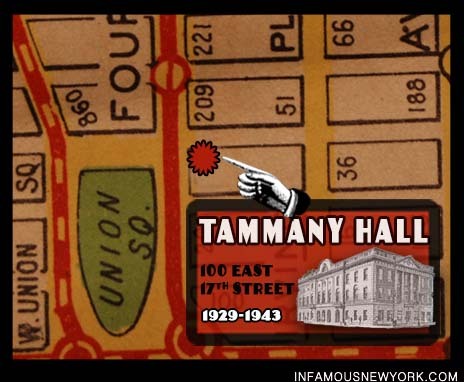 Tammany Hall was located at 100 East 17th Street. For an added touch to whitewash the corruption, the architects decked the building out in patriotic splendor, choosing bricks modeled from Thomas Jefferson’s home at Monticello. This balcony overlooking Union Square served as Tammany Hall’s bully pulpit, allowing politicians to address the masses below. On the 17th Street entrance to the Hall, columns inspired by Federal Hall, the site of George Washington’s presidential oath, adorned the second and third floors. 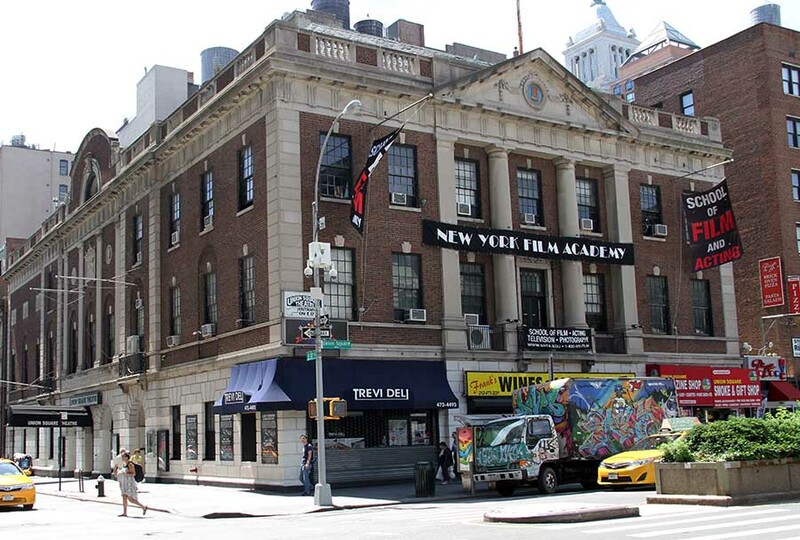 Nearby, friezes of Christopher Columbus, a Revolutionary War era liberty cap and Chief Tammany, the organization’s namesake, ornamented the exterior of the building. 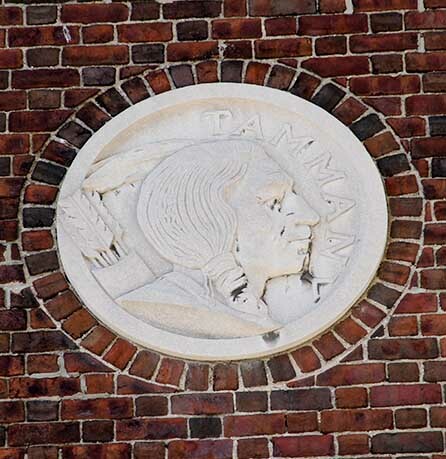 Chief Tammany, namesake of Tammany Hall. The focal point of the entire wigwam was a balcony, which served a pulpit for Tammany bigwigs such as: Mayor Jimmy Walker, presidential candidate Alfred E. Smith, and Senator Robert Wagner to speechify to masses gathered around Union Square. 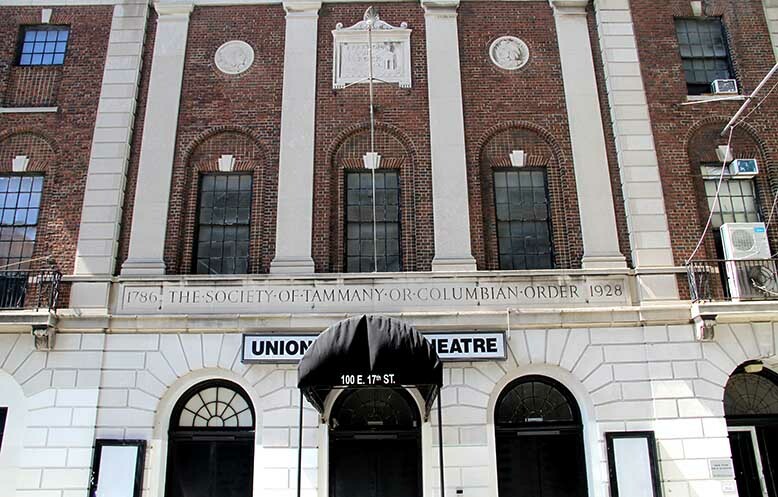 But little did the sachams know, Tammany Hall had nowhere to go but down. For over 100 years, Tammany ward heelers incubated organized crime in New York City, fostering and organizing a network of gangs whom they schooled in mayhem and rolled out on Election Day. Sent to smash ballot boxes in Republican neighborhoods and repeat vote in Democratic strongholds, Tammany awarded the crooks perpetual get out of jail free cards for their work. Tammany politicians looted the city and taxed vice, making themselves millionaires in the process of redistributing this wealth to the city’s most marginalized inhabitants.The Hall was known for handing out ice in the summer, coal in the winter and turkeys at Thanksgiving in a time before social security. Ultimately, prohibition turned the paradigm on its head. Bootleggers, gangsters and gunmen made multi-millions of dollars overnight and paid for their political protection, rather than earning it with their fists at the polls. The rain of money turned into a deluge, and Tammany became minions of the mob. By the 1930s, the Hall was firmly in the hands of the National Crime Syndicate with Lucky Luciano, Dutch Schultz and Frank Costello puling the strings. 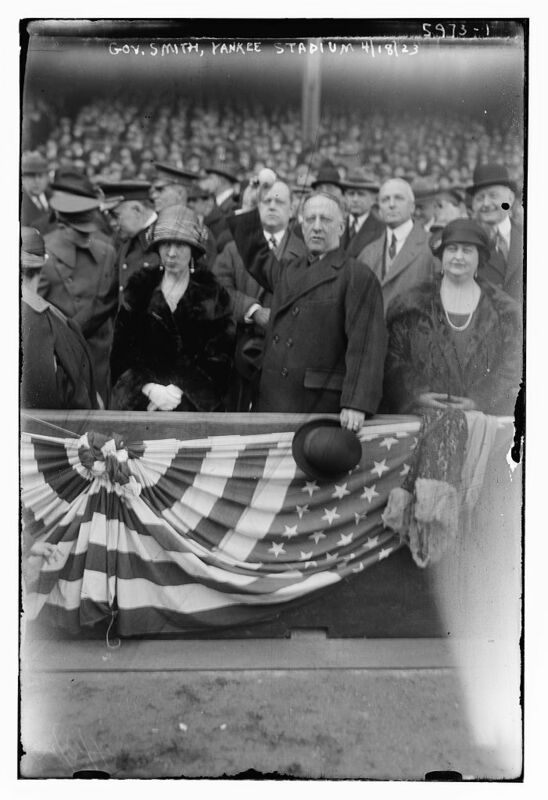 Tammany Sachem, Alfred E. Smith, dedicated the building alongside his political rival, Franklin Delano Roosevelt, a man who did more to destroy Tammany than anyone else.